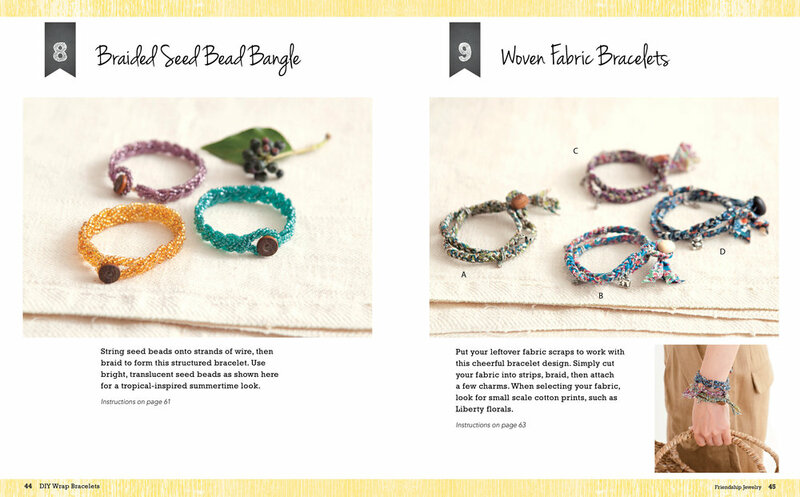 Capitalizing on one of the hottest jewelry trends, DIY Wrap Bracelets presents a collection of 25 beautifully beaded accessories that would be at home on the shelves of the most stylish designer boutiques. DIY Wrap Bracelets also includes coordinating necklaces, earrings, and brooches made from a variety of materials, such as leather, gemstones, pearls, beads, fabric, and thread. Step-by-step color photographs illustrate general jewelry-making techniques, while detailed diagrams provide instructions for individual designs. As an added bonus, the author provides suggestions on how to combine different designs and achieve the fashionable layered look.